A commercially available scootmobile was the Scootacar. Although, it was only commercially available if you happened to live in the U.K. in the late 1950s. Scoot through with a click. 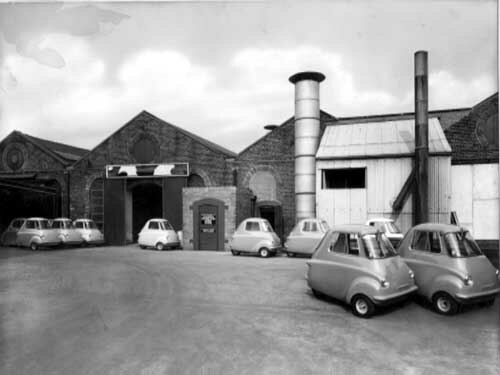 A decade after Norman Anderson’s airplane based scootmobile, the Hunslet Engine Works of Leeds, England created the Scootacar. It was capable of carrying two people, one behind the other, and it could reach 50 mph with its 197 cc 2-cycle engine. More advanced than its one-off predecessor, its body was fiberglass and it was mass produced. Well, if you consider a total of 1,500 units mass production. Legend has it that the wife of one of the owners of Hunslet complained of difficulty parking her Jaguar, which sparked the design and production of this micro-car. 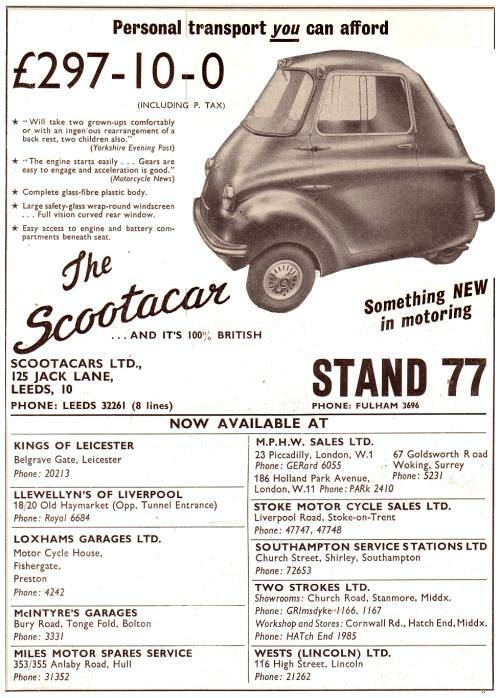 Hunslet had been producing train engines, so the Scootacar was quite a departure. The Scootacar faded away, but Hunslet is still building locomotives. This entry was posted in 1950s, Imports (Euro), Items of Interest (Not for sale), Uncategorized. Bookmark the permalink. Perhaps a determined clown father, sure.